One of my favourite aspects of Thermomix cooking is that this trusty machine meets you wherever you are. If you are lacking in confidence it’s there as a reliable friend. If you want to get cheffy, it’s up for it. And if you simply want to get dinner on the table for the family or any kind of crowd, it’s on board for that too. 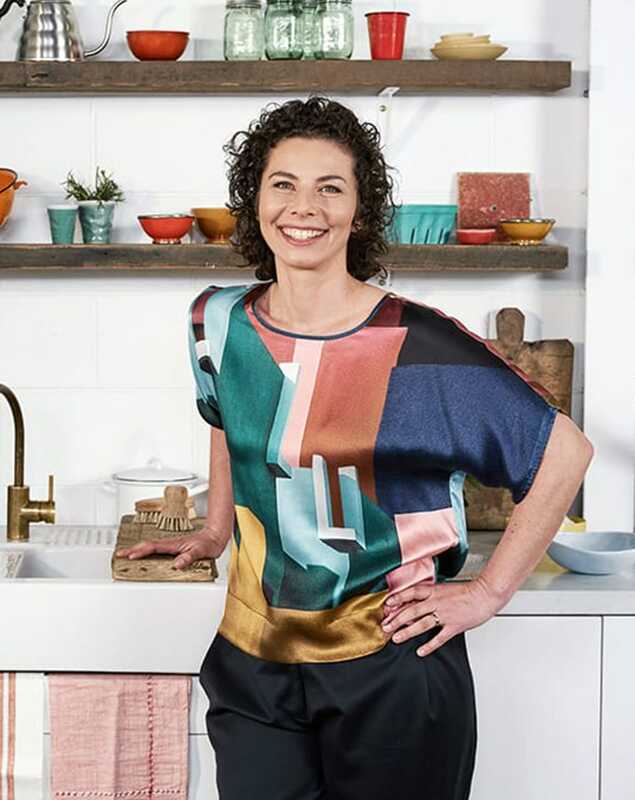 Here are some of my beloved family-friendly recipes: easy, tasty and approachable. 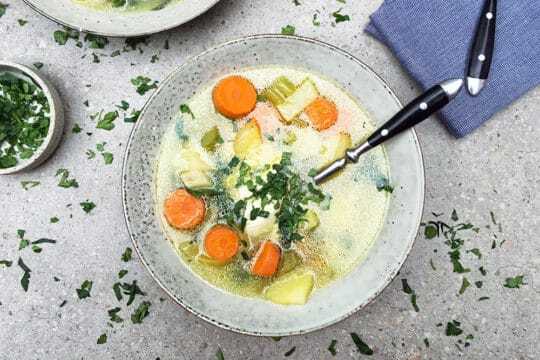 Everybody needs a simple chicken soup in their repertoire: this one is warming, sustaining, nurturing and nourishing, plus you have extra chicken for sandwiches the next day. 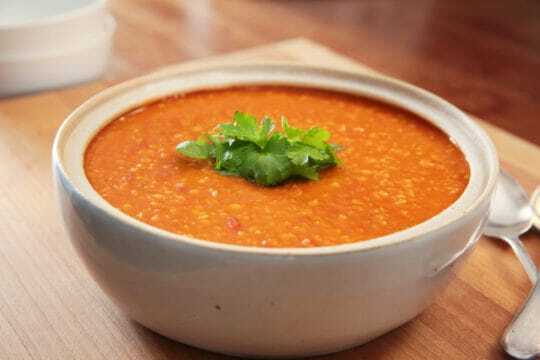 Goulash is traditionally a soup, served with steamed potatoes. This version is very juicy but it’s more of a stew. I love serving it with mashed potatoes, though you can stick with the traditional steamed, if you like. If ever I tell the family that it’s spaghetti bolognese tonight, they are so happy. It’s always a winner. My recipe includes lots of veg, a couple of nonna tricks, and avoids mince mush. These schnitzel are crumbed with cauliflower – extra veg in a gluten-free crumb = WIN. And you can literally get dinner on the table in 30 minutes. Steam some extra veg or change up the salad however you like. 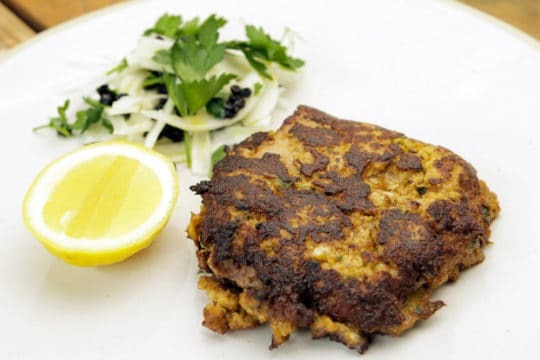 Use veal, beef, pork, chicken, turkey or lamb schnitzel…so adaptable! Gnocchi anguish be gone! 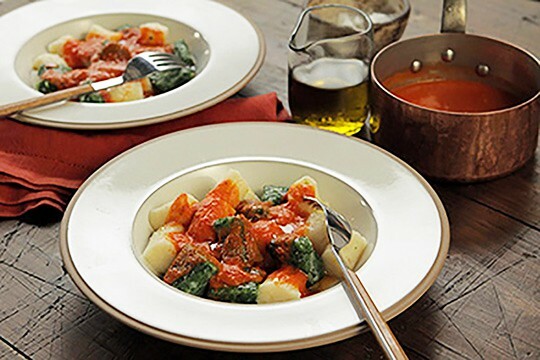 Make light, bouncy, silky gnocchi by using the right potatoes and a gentle touch. If you’re cooking with kids, they’ll love getting involved. Bonus – they’re gluten free. Use chicken on the bone and reduce the chilli if that’s an issue for your brood. You can also make this with lamb cutlets. 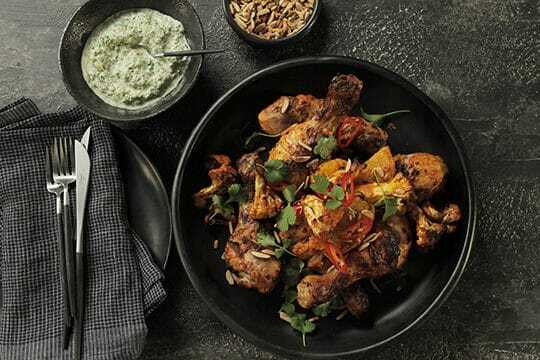 It’s beautifully spiced, gently marinated and comes up a treat in the oven. 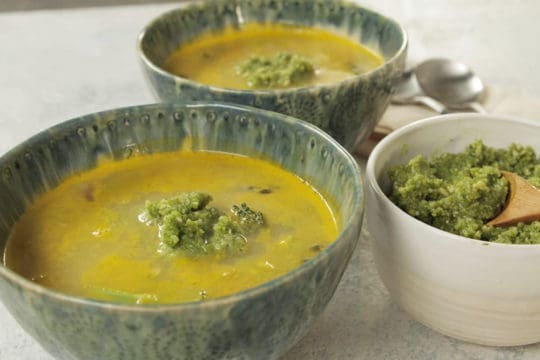 This soup is comforting and nourishing, tasty and satisfying, cooked on a pesto base and dolloped with extra pesto at the end. If you don’t have millet, you could also add noodles to bulk it out. Change the vegies depending on what you have on hand. 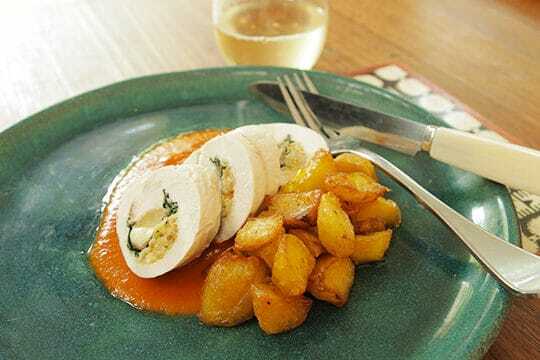 This is one of my all-time most popular recipes, fancy to look at but easy to prepare. People always tell me how happy they are that they gave it a go! Think classic pub flavours with a little extra pizzazz. Importantly, it’s the perfect dish to prepare ahead of time: make your rolls, steam your spuds, then finish it all off when the family is clamouring. There are so many things to love about this recipe. It’s an all-in-one dinner that feeds a crowd. 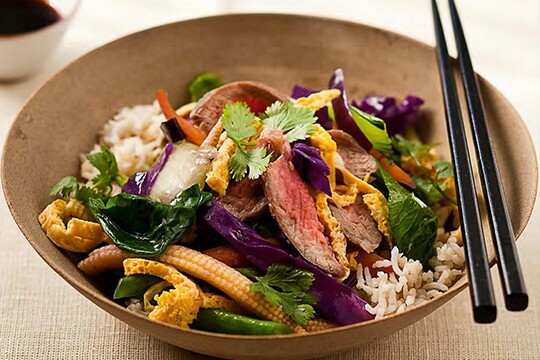 It’s tasty and adaptable: do it with chicken, pork fillet, lamb, or even tofu. So many families enjoy this on a regular basis – you MUST make it if you haven’t already! 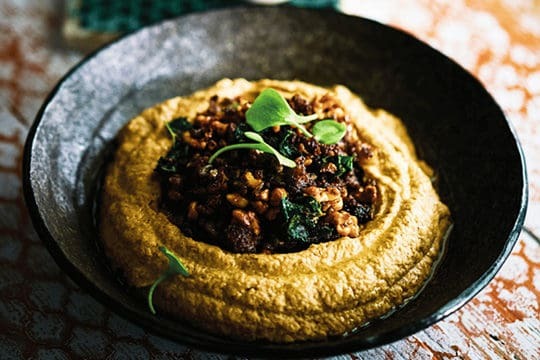 This cauliflower hummus is a favourite for its big flavours and creamy texture. 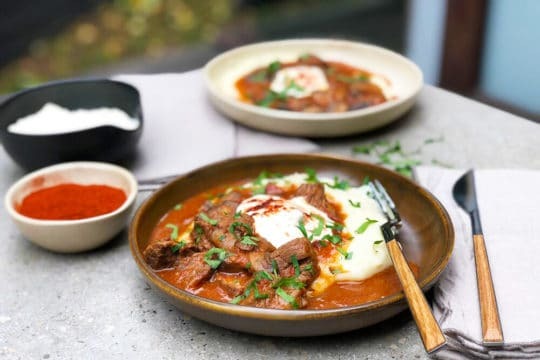 Add inexpensive spiced beef, cooked for longer than you’d think, and you’ve got a dish that’s fancy enough to make it onto the menu at Maha, Shane Delia’s glam and gorgeous Melbourne restaurant, but relaxed enough to serve to the family. 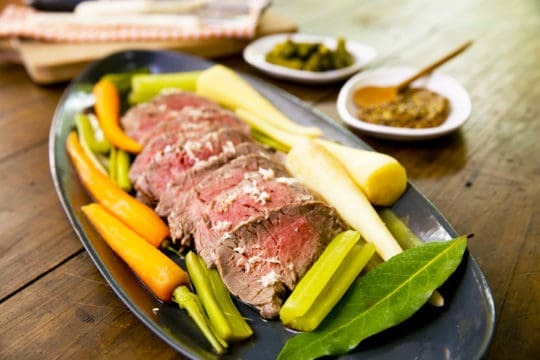 This classic French peasant dish of poached beef and vegetables is simple, clean and presents elegantly. It’s a great one to serve to the family because everything is separate – fussy eaters can pick and choose, and grown-ups can amp up the flavours with mustard and cornichons. 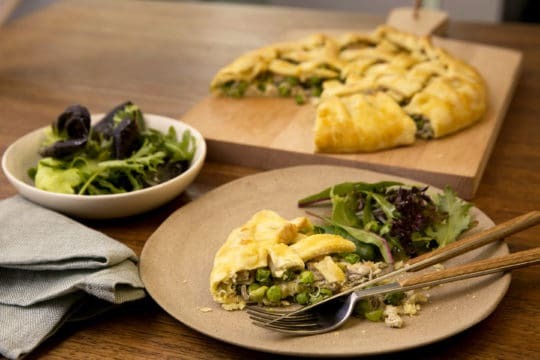 While making this freeform chicken tart, I share a few fun tricks: flavoured pastry (mustard, mmm), shredded chicken (Thermo-genius), and a simple technique for creating a pastry lattice. I also let you into my love affair with buttered leeks – could they be the key to happiness? 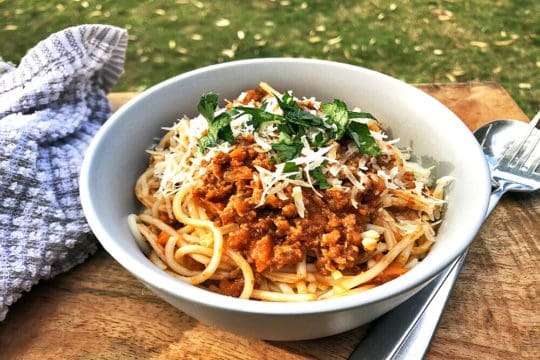 Amazingly tasty and nourishing, made with pantry staples in 20 minutes, this dish was created in a moment of panic and has now become one of my much-loved staples. 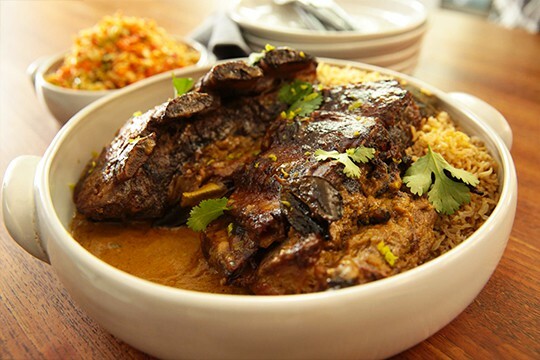 I’m excited to share this hearty lamb shank recipe with you. 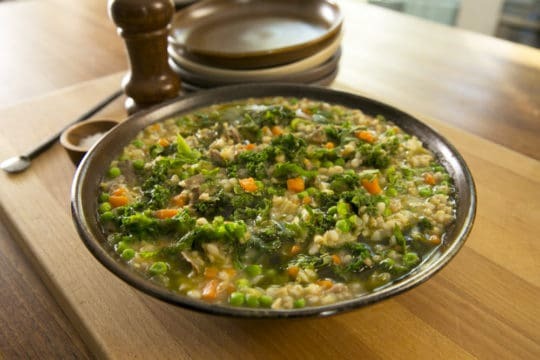 It’s so warming, sustaining and filling, with succulent lamb, the goodness of barley and greens, and the bright zing of dill oil to add shine and silky texture. Ribs are one of my favourite winter meals and this is an easy, flavoursome way to cook and eat them. 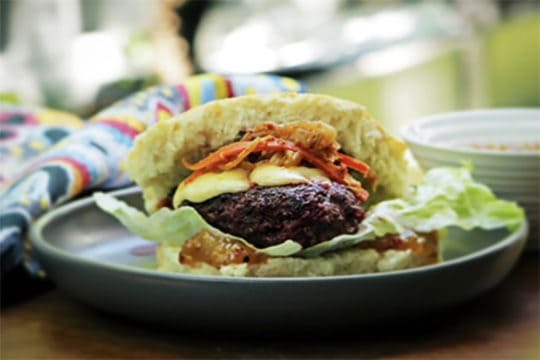 Thai spices and aromatic lime give the rich meat a lift, and a peanutty coleslaw adds texture and tone.